Wilmar, Asia’s largest agribusiness company, which controls 45 percent of the global palm oil trade, has issued a new policy to protect forests, respect human rights, and enhance community livelihood. 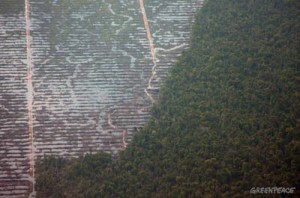 The company joined consumer products’ leader Unilever, in committing to a “No Deforestation, No Peat, No Exploitation, No High Carbon Stock, Traceable Sourcing Policy” for both its own plantations and third party suppliers. NGOs working on the issue, led by Climate Advisers and The Forest Trust (TFT), say the initiative has the potential to dramatically cut deforestation and climate pollution, while boosting prosperity. This policy follows a decade of aggressive and effective advocacy for sustainable and responsible palm oil by nonprofit organizations around the world. Recently, activist shareholders concerned about sustainability issues, including the Missionary Oblates, sent letters asking for policy changes to to 40 major palm oil producers, financiers and consumers including Wilmar, Golden Agri Resources, Unilever, and HSBC. The letters were coordinated by Green Century Capital Management and were signed by major institutional investors from the U.S. and Europe representing approximately $270 billion in assets under management. The announcement represents a vital new approach for Wilmar International, which in addition to its importance in the palm oil trade, is a significant player in other commodities like sugar and soybeans. The announcement sets a responsible path forward for one of the most environmentally intensive commodities on earth. Wilmar’s policy on palm oil is available online here.